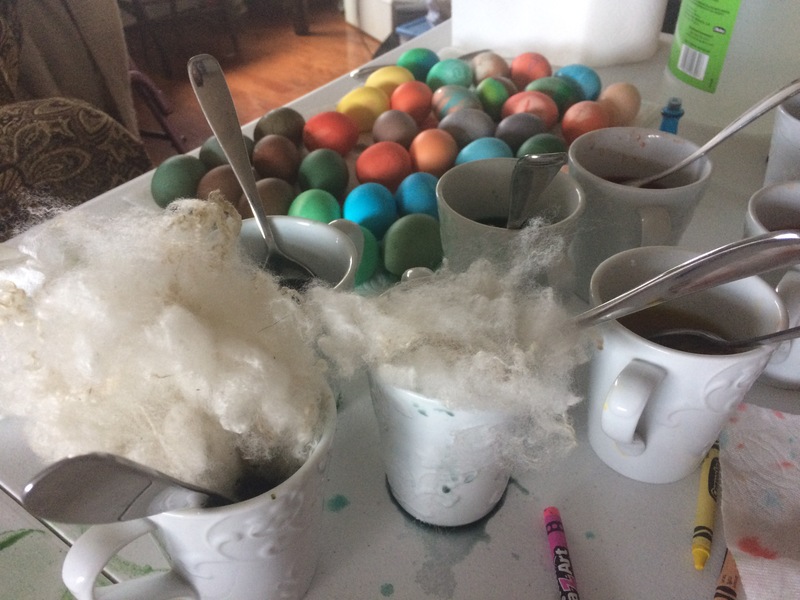 After we finished dying Easter eggs, I decided to put my recently washed and dried Gotland/Marino wool fibers into the egg dying cups to see what would happen. We had about seven or eight cups with colors, some pure, some mixed. 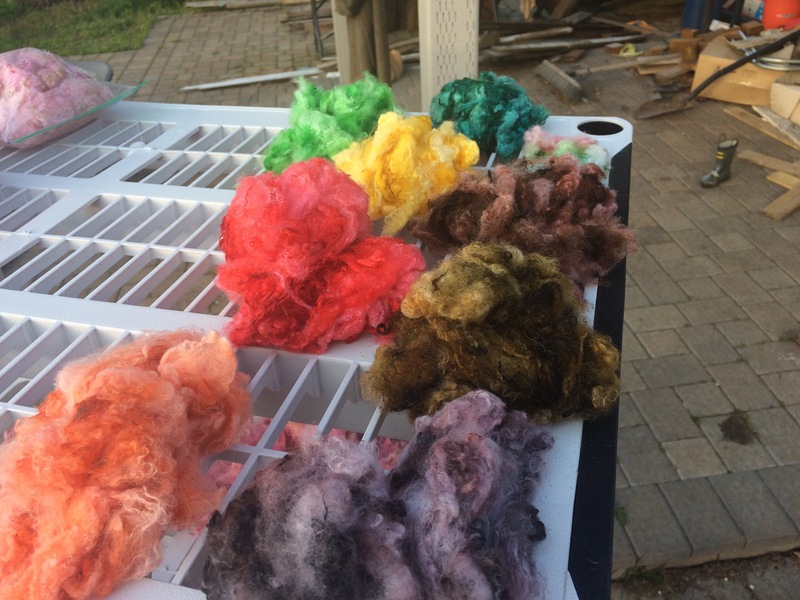 Below are the first bunch of colors that came out of the dyes. 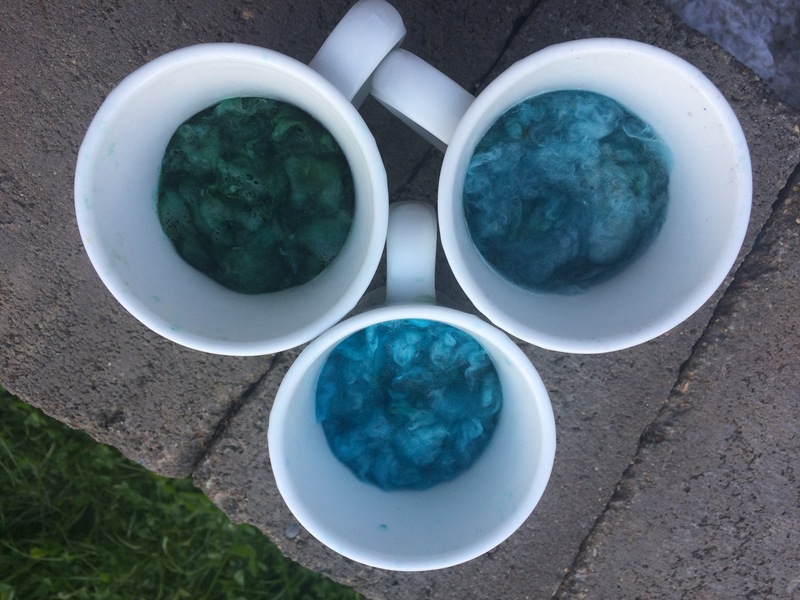 Three of the cups still had dye in them so I added more wool. As you can see below, the blue die that is left in the cups is not anything like the color of the wool that came out already. 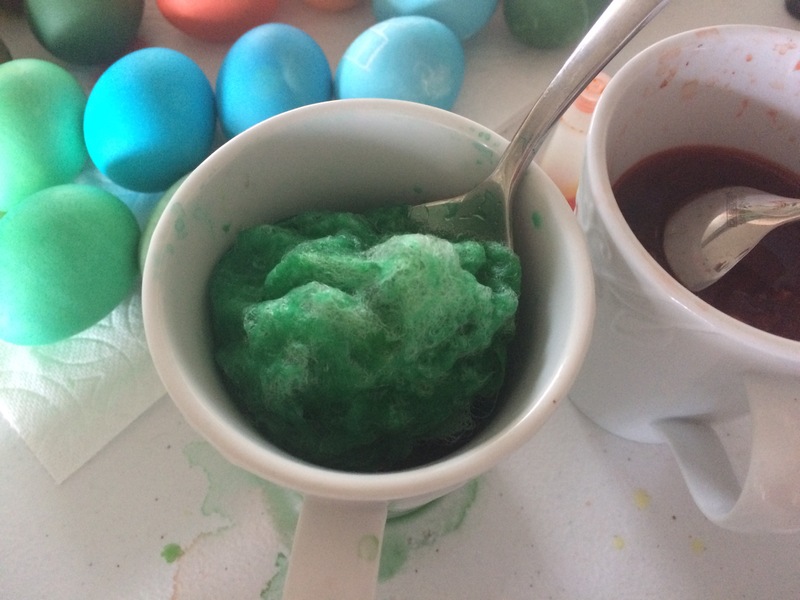 The dye must have split and some colors absorbed faster than others. 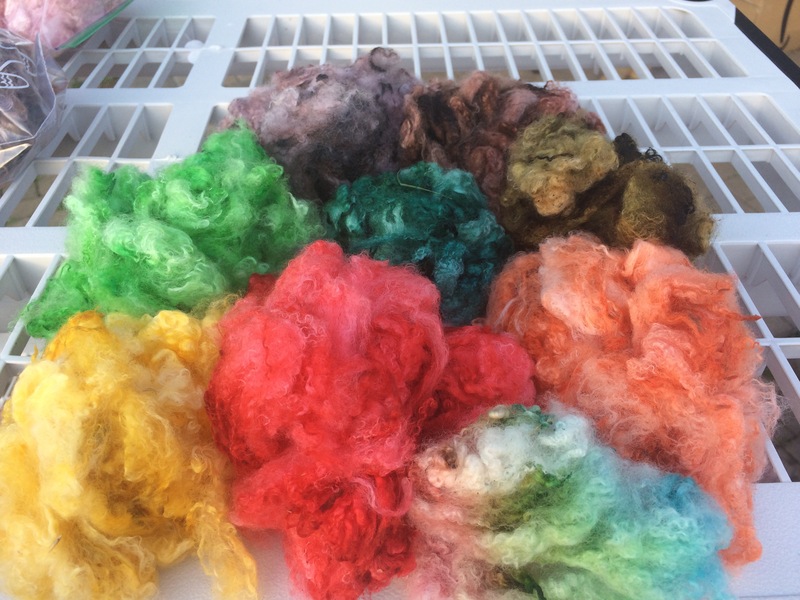 I think this is a great way to dye lots of different colors in small amounts! Thanks Linda! I am very excited to try other dying too, like dying with kool-aid and plant dyes as well as commercial acid dyes. Almost too fun! Previous Previous post: Fun with Spirals!